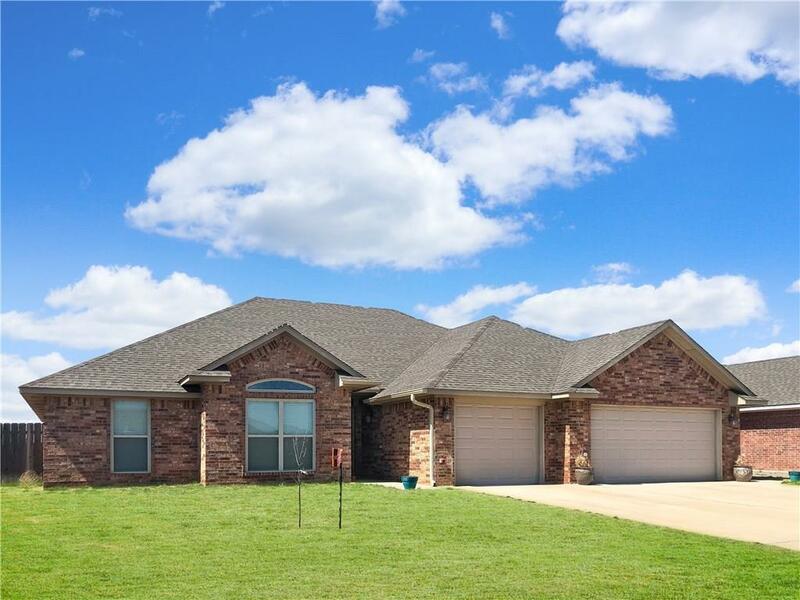 3025 Deer Run, Altus, OK.| MLS# 857907 | CENTURY 21 Altus Prestige Realty, Inc. This home in the Hunter Pointe Addition has everything you've been looking for! The tiled entryway opens up to a large, open living area with vaulted ceiling and fireplace. Kitchen features a 10' long island separating the kitchen and living room, gas stove, stainless appliances- including the refrigerator, and a dedicated dining space and walk-in pantry. The master bedroom is oversized with a tray ceiling and recessed lighting. The attached master bathroom has double sink vanity, stall shower, and a massive soaker tub! Master closet is just off the bathroom & has lots of space & built-ins. The remaining 3 bedrooms are on the opposite side of the home, each has a walk-in closet, ceiling fan, and tray or vaulted ceiling. The main bathroom has tub/shower combo & two sinks. The hallway is extra wide & has 2 storage closets. There is an indoor laundry room with storage cabinets, and the 3 car garage has extra storage space as well. Backyard has covered patio and wood privacy fence.